Holmgren, Eric J.. "Wetaskiwin". The Canadian Encyclopedia, 12 May 2016, Historica Canada. 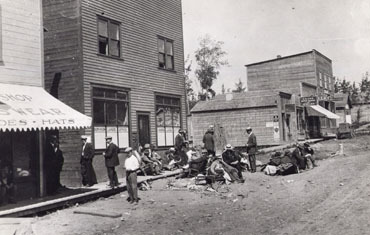 https://www.thecanadianencyclopedia.ca/en/article/wetaskiwin. Accessed 22 April 2019. Wetaskiwin, Alta, incorporated as a city in 1906, population 12 525 (2011c), 11 689 (2006c). The City of Wetaskiwin is one of Alberta’s oldest cities. It began (1891) as Siding 16 on the Calgary-Edmonton Railway and was a point of departure for early, predominantly Scandinavian homesteaders. Wetaskiwin, Alta, incorporated as a city in 1906, population 12 525 (2011c), 11 689 (2006c). The City of Wetaskiwin is one of Alberta’s oldest cities. It began (1891) as Siding 16 on the Calgary-Edmonton Railway and was a point of departure for early, predominantly Scandinavian homesteaders. A townsite was surveyed in the following year and it received incorporation as a town in 1902. A Canadian Pacific Railway branch line was built eastward in 1906, and Wetaskiwin grew as wheat farming and cattle ranching prospered in the area. Located 68 km south of EDMONTON, it is a distribution centre, and other industries include agricultural processing and tourism. The Reynolds-Alberta Museum, opened in 1992, contains artifacts depicting technological developments in transportation, industry and agriculture in Alberta. Adjacent to the museum is Canada's Aviation Hall of Fame. The city has one weekly newspaper, the Wetaskiwin Times Advertiser, and also 2 local radio stations and a municipal airport. 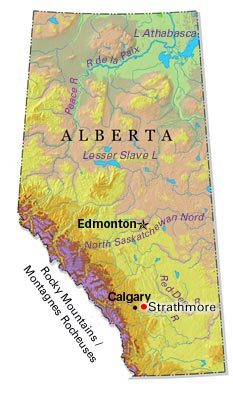 Its name comes from the Cree word wi-ta-ski-winik meaning "hills of peace," referring to the nearby Peace Hills where the Cree and the Blackfoot signed a treaty in 1867 after a lengthy battle. WetaskiwinThe website for the historic City of Wetaskiwin, Alberta.